Two forces on two different paths. They share a background but potentially have very different futures. The careers of Daniel Dubois and Lawrence Okolie could prove to be symbolic of a wider narrative that is being played out to a baying boxing public. Both men served their apprenticeships as part of the Team GB production line. Okolie, 24, went to the pinnacle of the Sheffield setup, having competed at the Rio 2016 Olympics. Losing to the Cuban Erislandy Savon, Okolie took this as his time to leave, signing with promoter Eddie Hearn at Matchroom HQ. For Dubois he never represented Team GB at Olympic level, although was highly touted to be the heavyweight representative at Tokyo 2020. Instead, aged 19 and at a time when many his age have started a journey in higher education, Dubois is setting off as a professional boxer with Hall of Fame Promoter Frank Warren. The parallels between their blossoming professional careers are eye-catching. Okolie turned pro on March 25th 2017. Two weeks later, Dubois took the same step. The venues? Both took their bow at the Manchester Arena, both on undercards to world title fights. The results of course were inevitable; these fights weren’t designed to test the talent, but to showcase it. Neither went beyond one round. Neither went beyond one minute. Okolie dealt with overmatched Geoffrey Cave in 20 seconds, Dubois handled out of his depth Marcus Kelly in a more strung-out 35 seconds. From neither debut could we learn the truth. Okolie made similarly short work of fight number two, finishing Lukasz Rusiewicz in a round mid-April. He wasn’t without flaws though, catching a few needless shots in the process. Dubois will be taking his second pro fight this weekend, no doubt looking to finish Blaise Mendouo in a one round blowout too. It is worth noting at this point, it is fanciful the two will meet in the ring anytime soon. 30 pounds in weight separated the two on their debuts; Okolie being a large cruiserweight at 6 foot 5, Dubois being a stickily built heavyweight at 6 foot 4. Of course Okolie could grow into a heavyweight, being the taller of the two he has the potential to build his frame to fit the showcase weight division in boxing, but you suspect he first wants to establish his name amongst the cruiserweights where at least domestically, he should be able to make an impact. So where do these journeys fork off? Promoters. These two are so significant in the modern era of boxing because they represent a new era in the sport of direct competition. Warren, so long battling with his BoxNation platform, now has the big dog of BT Sport to help fight his battle against the juggernaut of Sky Sports. 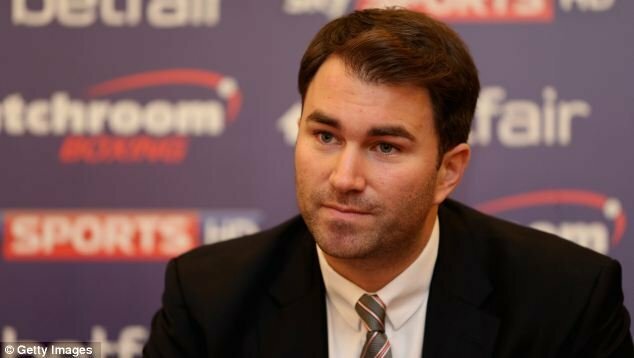 Eddie Hearn, a polarising Jack The Lad figure, has undoubtedly boosted the sport in the UK, helping to make household names of the likes of Anthony Joshua and Carl Froch. He has created crossover stars in an age of social media and reality TV. 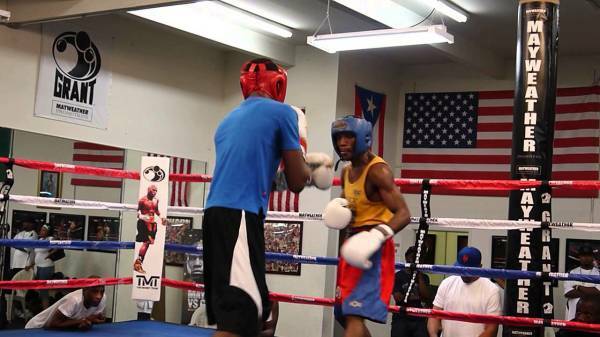 Joshua is no doubt the blueprint. His career is a masterclass in building a fighter; knockout poorly matched opposition, ensuring the records are improving in the journey. Take a title from a poor champion and parade it as if you are, undoubtedly, number one. Create revenue streams from multiple platforms, including big brand sponsorship and commercial partners, all the while ensuring a man who is no doubt a street-wise tough guy is perceived by the public as someone you would like your daughter to bring home on a date. Look at the starts of the respective careers for Dubois and Okolie and consider Joshua. Joshua knocked out an undefeated Italian in his debut fight, Emenuele Leo, who carried a padded 8-0 record. That’s text book to set the hype train wheels in motion. He has knocked out five undefeated fighters in 18 fights, none of which have posed a huge threat. It will be a surprise to nobody if Warren and Hearn manage to pull off similar stunts for Dubois and Okolie respectively. The challenge will be mining the undefeated fighters from the outer reaches of boxing’s wilderness. Expect BoxRec to be experiencing high traffic volumes from the headquarters of the two major promoters over the next 12 months. Okolie will be on display during the Joshua vs Klitschko showpiece at Wembley. It’s a path Joshua has trodden, having knocked out Matt Legg on the Froch vs Groves 2 undercard at the same stadium. Hearn has that ability to expose him to the general public. The huge viewing figures and live audience won’t be assembled by the time he fights, but it’s a huge nod in his direction to get the call up. For Dubois, he is the first fighter in a long time that Warren has the chance to groom into a household figure. But how? It all comes back to the fork in the road, the BT Sport contract. Here you have a 19 year old who, if all crystal balls are to be believed, has the knockout power of Joshua, and then some. How does Frank harness it though? How does he make Dubois the crossover star that he needs to bring the viewing figures? It’s clear that Dubois needs to do his part, but as long as he does, Frank has to fulfil his role as Promoter. The answer, strangely enough, may lie 11,386 miles away on May 5th and sit in the gloves of the cousin of the man who created the current heavyweight melee; Hughie Fury. Fury is tasked with dethroning New Zealand’s Joseph Parker, the WBO heavyweight champion. If he succeeds, the belt comes back to Lancarshire in the Fury family and more importantly, within the Frank Warren stable. Let’s look at some precedents here…..
Terry Flanagan won his WBO lightweight title in July 2015. Since then he has made five defences in 21 months, none of which can really be called ‘meaningful’. A mixture of voluntaries and mandatories, he has hardly picked from the elite in the division. Billy Joe Saunders picked up his WBO middleweight title in December 2015 and has defended it once in that period against the game and unlucky Artur Akavov. If we take the Flanagan example, there is a 21 month window. 21 months after Anthony Joshua debuted, he was 13 fights into his career and knocking out Kevin Johnson. He had a three month lapse due to injury, so take that period out and takes you to Gary Cornish, a one round KO. His next fight? Dillian Whyte, which won him the British title and set him up for his next bout, where he beat Charles Martin for the IBF world title. The stepping stone fight to where he is today. 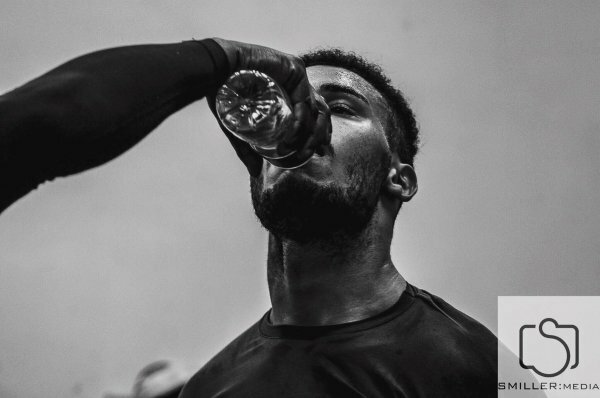 Realistically, if Dubois is the KO machine we are told, and can keep his growing body in one piece, that is where he could be in 21 months. Perhaps sooner. If Hughie Fury can pick up that title in Auckland and bring it home, Warren’s fighters have a very recent history of being able to take defences against non-elite fighters. In other words, he could keep that title warm. Everyone loves a heavyweight champion and the UK are no different. 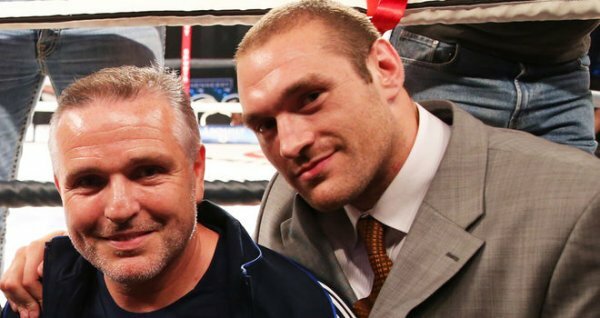 There is a very real possibility that in April 2019, we are looking at Hughie Fury defending that WBO world title against an undefeated KO merchant by the name of Daniel Dubois. All Frank has to do is play his cards right. There are of course variables. Do BT stick around? Does Fury win? Does Dubois win? What is clear is that Warren has to harness Dubois, either make him a Joshua clone or make him the antithesis of Joshua. One or the other. The anti-hero couple be the role that ultimately makes the clash so appealing down the line. Where does all this leave Okolie? The cruiserweight division is packed with dangerous fighters at the top end, far more so than the heavyweights, but without the same rewards. The problem Okolie has is that he is coming through in a stable of Olympians and champions, in a division of hard propositions. There is the risk he gets lost in the mix – expect to see him fast tracked to a potential showdown with Isaac Chamberlain, the man who went life and death with Wadi Camacho for the Southern Area cruiserweight title. His challenge to reach the pinnacle is by far the harder, which is why it seems inevitable that at some point he will take his six foot five frame into the land of the heavyweights. By the time that day comes around, the land may lie very differently to where it does now. Sitting atop the hill may just be the man who made his debut 14 days after Okolie. The fork in the road may be a collision course for the future. In the meantime, sit back and enjoy. No doubt we will see a destruction path for both, a mixture of journeymen and padded records laid strewn by the wayside. The real question is which one will travel furthest and which vessel is in the best position to carry them. The real battle may not be the boxers, but the platforms.